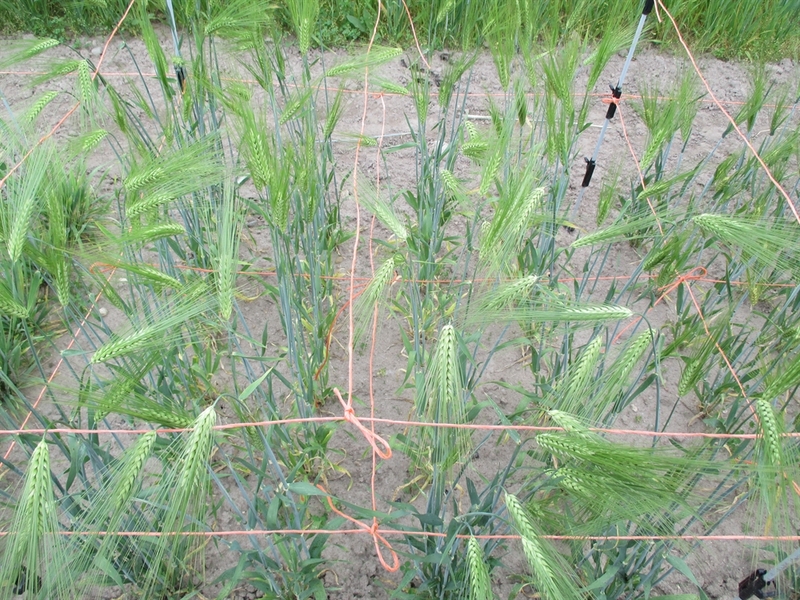 This variety of hulless barley is one of 9 heirloom varieties I trialed in 2014. These are all human consumption types that are easily threshed and dehulled. Most barley grown here in Northern Indiana is raised for animal feed, forage and straw. 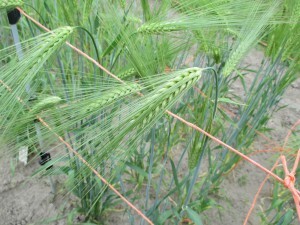 Barley is fairly susceptible to cereal diseases brought on by wet conditions during flower pollination. Masan Naked-1 was the most disease resistant of all cultivars, but it also has the greatest tendency to lodge under persistent wet conditions and periods of heavy rain. I would recommend tying this variety up to prevent lodging. Masan Naked 1 is a spring planted barley from Japan. 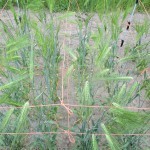 It is a six row, hulless food barley. I found it to be fairly easy to dehull by hand. It tillered vigorously. After threshing I noticed few shrunken seed (mummies). Overall good growth and production. I planted on April 1st and harvested July 3rd. Packets contain 7 grams (approx. 150 seed).